A recent visit of Egyptian President Al-Sisi to Russia – the first foreign visit beyond the borders of the Arab world, triggered an avid reaction from political circles and media outlets in Egypt. Egyptian news agencies and TV channels stressed the respectful reception Al-Sisi got during his stay in Sochi. 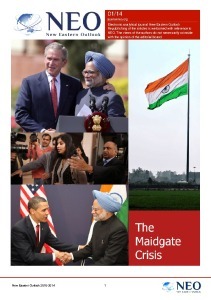 The majority of them empathized the range of topics that was discussed by the leaders of the two countries. Most Egyptian observers in tune with Al-Sisi’s spokespersons believe that this visit was a success. A number of opinion makers and businessmen stressed the positive dynamics of bilateral trade and improving economic ties. They welcomed the growing export of their agricultural products to Russia and the decision to establish an Egyptian logistics center on the Black Sea coast. Egypt is the second largest supplier of fruits and vegetables to Russia, agricultural goods account for 70% of Egyptian export volumes to Russia. According to one of the leaders of the Egyptian Chamber of Commerce, the decision of the Russian authorities to purchase more agricultural products from Egypt – is a good chance for local farmers and traders. He said that this is a rare luck in the competitive environment of the today’s agricultural markets which are being supplied by goods from the East and the West. It was noted that the last year’s supply volume of agricultural products to the Russian Federation increased by 30% in comparison to 2012. A lot of Egyptian hopes are associated with the further increase in Russian tourists visiting Egypt. According to some experts, the latest visit can not be separated from the implementation of major national projects, today’s agenda between the two countries. One of such projects is the recently announced construction of a second Suez Canal. To create the infrastructure needed for this project Egypt would be participating in the development of Russian industrial zones. The Egyptian oil and gas production capacities are in the focus of the bilateral cooperation as well and the world’s largest company Gazprom is willing to provide assistance in this field. Russia will also be helping in developing peaceful nuclear energy projects in Egypt. Egyptian media outlets are paying particular attention to the demand for modernization of giant projects that were built in the Soviet era but they “continue to be the backbone of the industrial sector of Egypt.” The country is now trying to improve its legislation in order to attract foreign investors, including Russian. 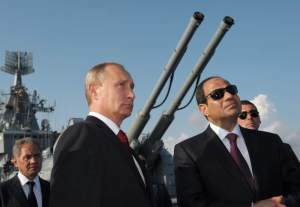 An article in the Al-Ahram newspaper states that the Egyptian president is concerned with achieving progress in relations with Russia – an influential world’s power. 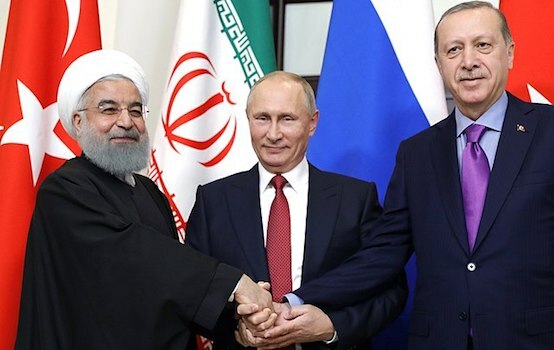 Al-Ahram columnist says that the former cases of cooperation with Moscow left a lasting mark in the history of bilateral relationships. Political analysts and experts perceive the visit of President Al-Sisi through the prism of the turbulent events in the Middle East where different forces are gaining the upper hand, new players emerge, and the extremists of the Islamic State of Iraq and the Levant are posing a real threat to regional stability, Libya has been destabilized and the bloodshed in Syria continues. International terrorism has once again shown its ugly face in the Middle East. In this regard, the press noted the similarity or even identity of the positions of the two countries in the respect of the today’s challenges and threats in the Middle East. Many Egyptian writers and columnists have commented on the actions and policies of Washington and the West in general in the region, accusing western policy makers of duality, the support they had been showing to different extremist organizations, and the desire to push Cairo aside. Most of them agree that Cairo needed greater independence in its foreign policy but without spontaneous turns or jumps. The former Egyptian ambassador to the Russian Federation Izzat Saad believes that the visit of President Al-Sisi shows hope that the country of the Nile has its own common interests with Moscow and that it is not willing to yield to any kind of pressure from the outside. Egyptian newspaper “Al-Tahrir” says that the recent visit is placing a corner stone in the construction of new relations between the two countries, that will only become more profound in various fields and aspects. The influential newspaper “Al-Sharq Al-Awsat” has called the agreements reached in Sochi “ambitious”.